According to the book of James, “Pure religion and undefiled before God and the Father is this, to visit the fatherless and widows in their affliction, and to keep himself unspotted from the world.” (James 1:27) At no time during the year does this call to minister to the fatherless seem so important than Father’s Day. I don’t need to preach to children’s ministry leaders about the crumbling family unit, you see it each week. As good leaders, we must celebrate the fathers who lead their children, at the same time remaining sensitive to the kids who live in different situations. 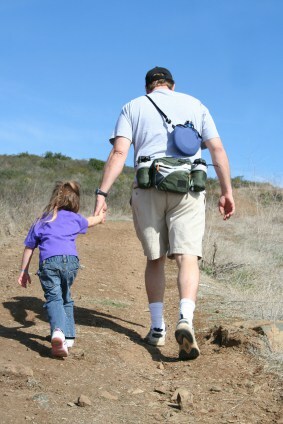 Remember these practical teaching tips when ministering on Father’s Day. Teaching kids to pray for their fathers is spiritually empowering. Prayer does so much for us, especially when we feel helpless about a situation. That’s true for kids, too! By teaching kids how to pray for Dad, you give them a worthy action that both empowers them and releases God to minister to the family. Lead kids in a special prayer for all dads. During a quiet time, say, during craft or snack, lead kids in conversations about fathers. Share a funny, personal Dad story. Explain that someday kids will be Moms and Dads too, but for now, they should enjoy being a kid. I love Father’s Day. Commemorate this important holiday by talking about Dads and families. Reach out to the families of your children and wish them all a Happy Father’s Day! Tony Kummer (Editor) reviewed & updated this page on : June 11, 2013 at 8:32 am. All our content is peer reviewed by our readers, simply leave a comment on any post suggest an update.